So what are you doing to ensure lucrative, lasting partner relationships that make it hard for them to justify jumping to someone else’s technology? 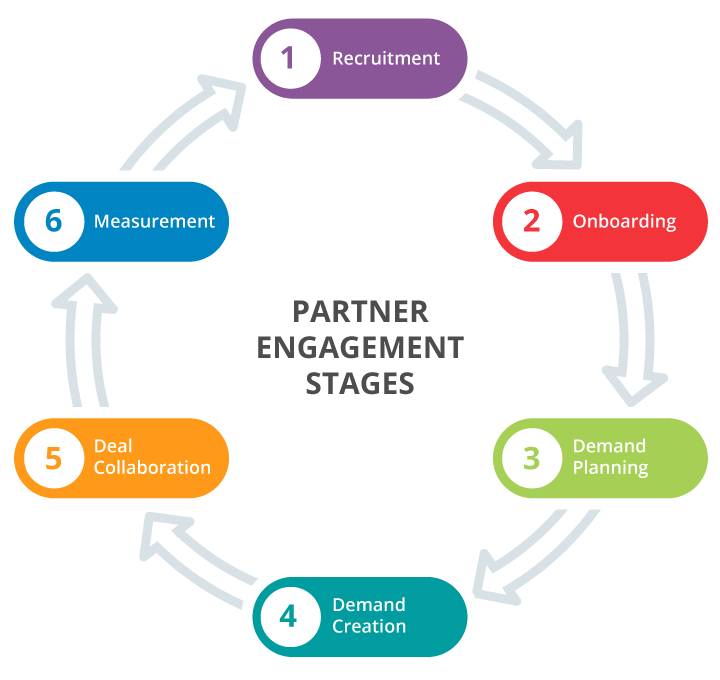 In working with partner programs, we see a pattern of partner engagement that needs to be executed consistently and effectively by your partner team to maximize your indirect revenue potential and earn partner engagement and mindshare at each step of the way. Every client we work with needs to do an excellent job of execution at each of the below steps or partner revenue will simply not grow and scale consistently and reliably over time. Am I using ‘best practice’ processes, tactics and staffing to support and execute each of these stages, in a way that reflects the ever-evolving needs of both my program and my partners? Am I utilizing a best-of-breed technology stack that truly enables those best practice models at each stage…or am I settling for a mile-wide, inch deep ‘platform’ from a single vendor for all things channel related that takes a point-in-time, custom coded approach to enabling each step? In today’s ‘Partner Engagement Wars’ the spoils are going to the suppliers that do the best job in both of these areas. We teamed up with Mike Moore from Averetek to produce a webinar in which we reveal lessons learned by top partner programs for how they are winning the ‘Partner Engagement Wars’ and how you can ensure win-win, high revenue relationships with more of your partners. We’ll break down each step in the process above and review what recent studies by top channel experts like SiriusDecisions and Comptia tell us about how to execute at each of these stages in a way that engages and drives revenue with more partners in a scalable way.